You’ve just completed a 7-day cruise to the Caribbean, and you aren’t ready to go home just yet — but where to stay? 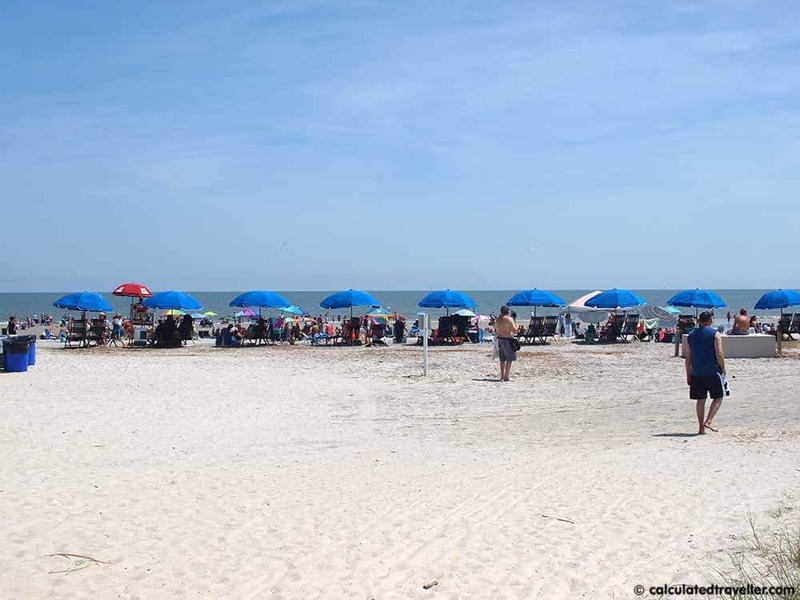 There’s Florida, but perhaps you’ve already been there many times, well why not visit Hilton Head Island South Carolina? Located a mere 8-hours drive north of Miami lies this quaint island escape with resorts, golf, great food, boating, beaches, nature, and wildlife. It truly does have it all! I’ve driven by the exit sign to Hilton Head Island on the I-95 many times, but this was the first time that we turned our blinkers on and took the exit. 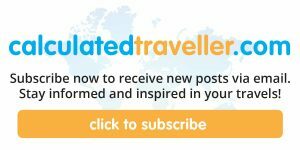 We’ve profiled the islands ecological sustainability efforts here on Calculated Traveller before, and we’ve written about various activities but I thought I would share MY 10 reasons why I plan on visiting here again. We stayed at the lovely Hilton Garden Inn Hilton Head. 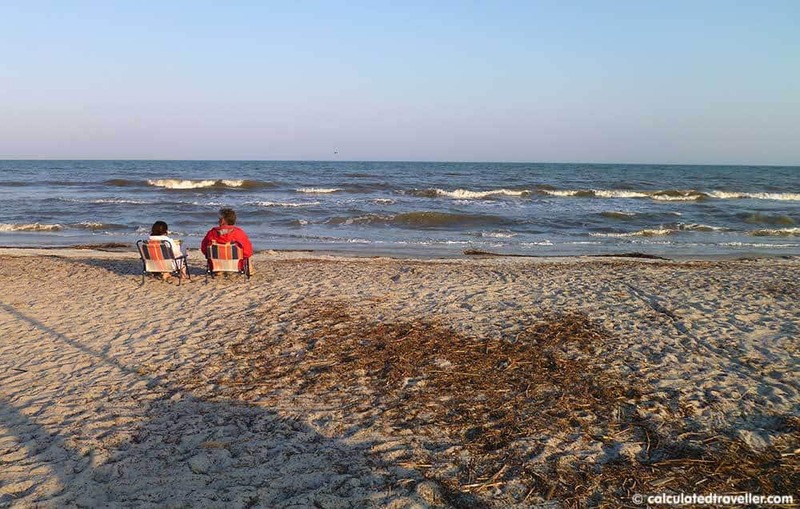 There are more than 12 miles of beach in Hilton Head Island, and it’s all gorgeous. We visited Coligny Beach and genuinely enjoyed ourselves. With facilities, free parking, free public access to the beach and ample opportunity for people watching – we liked it so much that we went there twice! There is a splash pad for the kids, restaurants, shopping nearby as well as bike rentals. There were lots of people, and the parking was a bit scarce, but the beach is very deep so we still had plenty of room and it didn’t feel crowded. You can’t visit South Carolina without having some great barbecue. They even have their very own “South Carolina BBQ Trail”! Now that’s a road trip that you can sink your teeth in to. 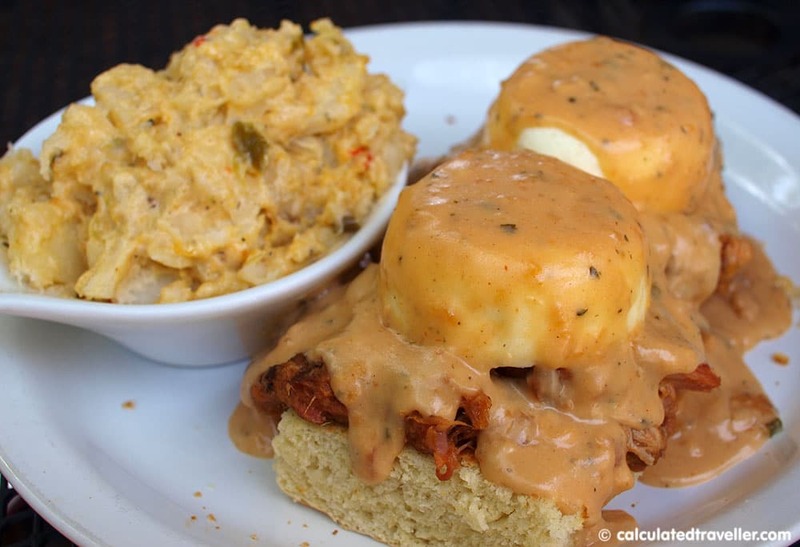 We dined at 2 places Bluffton BBQ and One Hot Mamas but also had pulled pork on our Eggs Benedict for brunch at Lowcountry Backyard Restaurant that was to die for! They sure do know their way around a barbecue pit in Hilton Head Island. 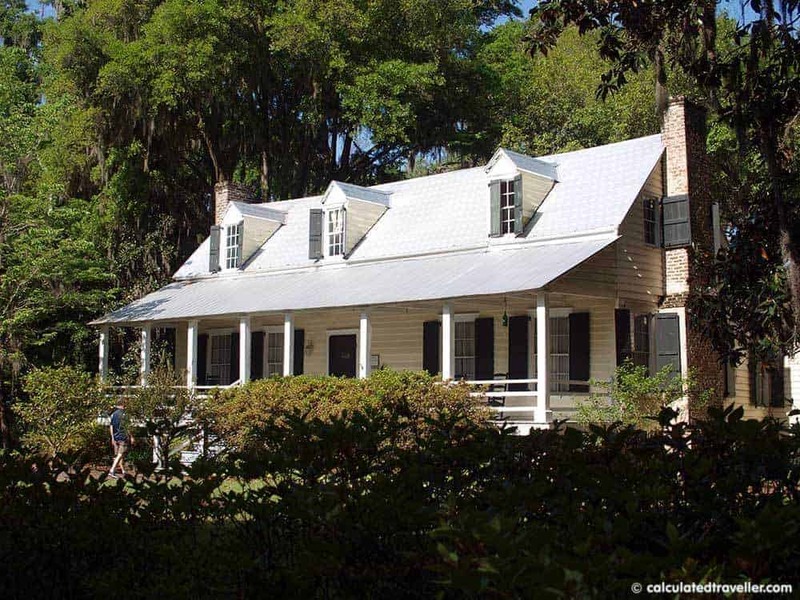 The free Coastal Discovery Museum is located on 86 acres of the Jarvis Creek within a beautiful scenic, historic plantation named Honey Horn. We had a lovely time viewing the displays, learning about the Gullah People and most of all walking the various boardwalk trails and visiting the gardens. 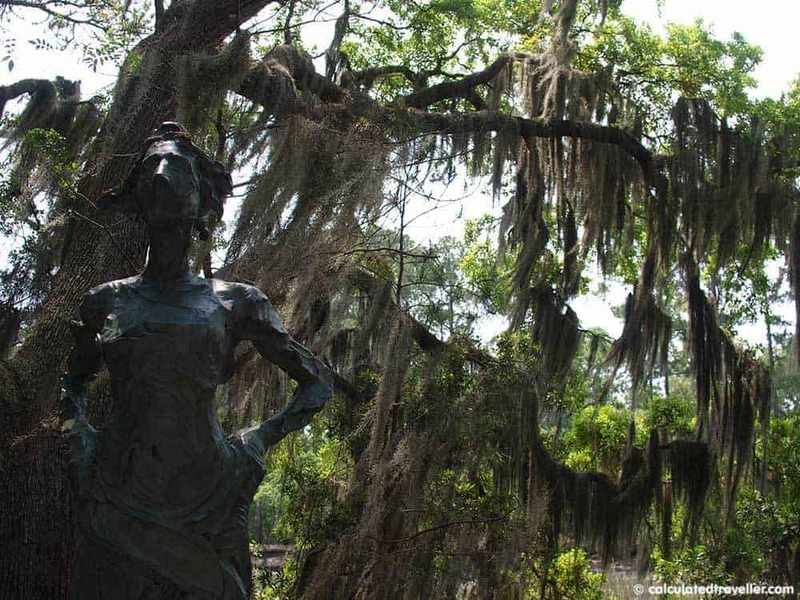 Charming Bluffton is just a short drive over the bridge and a great town to explore. If you stop by Heyward House Welcome Centre you’ll be able to pick up a free map listing all the historic sites. Bluffton is also very close to the outlet malls. In Bluffton, just before you cross the bridge over to the island, is Tanger Outlet with about 100 stores this outdoor mall is sure to keep you busy. Located between Hilton Head Island and the town of Bluffton the 4,000-acre wildlife refuge is a great place for a stroll or bike ride. Admission is free, and it is open daily from dawn to dusk. 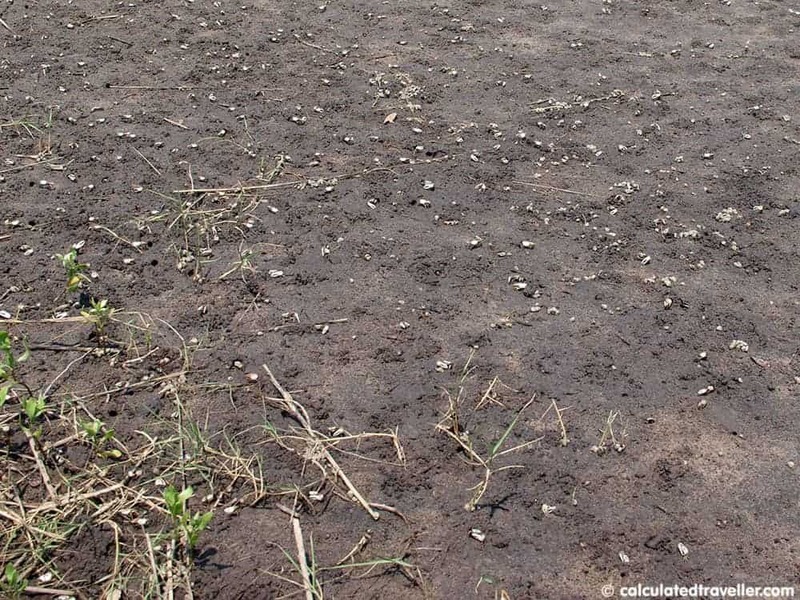 If you hear a crackling noise as you walk along – it’s just the hundreds of little crabs going about their business in the swamplands. Sure there is a gate fee to enter via car but it’s the only way to get to Harbour Town, and once that gate opens you will see that it is well worth the drive and effort. Beautiful homes on tree-lined streets will surround you. If it’s not immediately clear, you might notice a few things about these homes. They are all painted to mimic their surround environment – all the buildings are painted an olive-green/brown. Also, the streetlights and house lights are very dim. This is a feature throughout all of Hilton Head Island so as not to disturb and distract the turtles that nest and lay their eggs on the beach. It’s a gorgeous drive that will lead you to…. 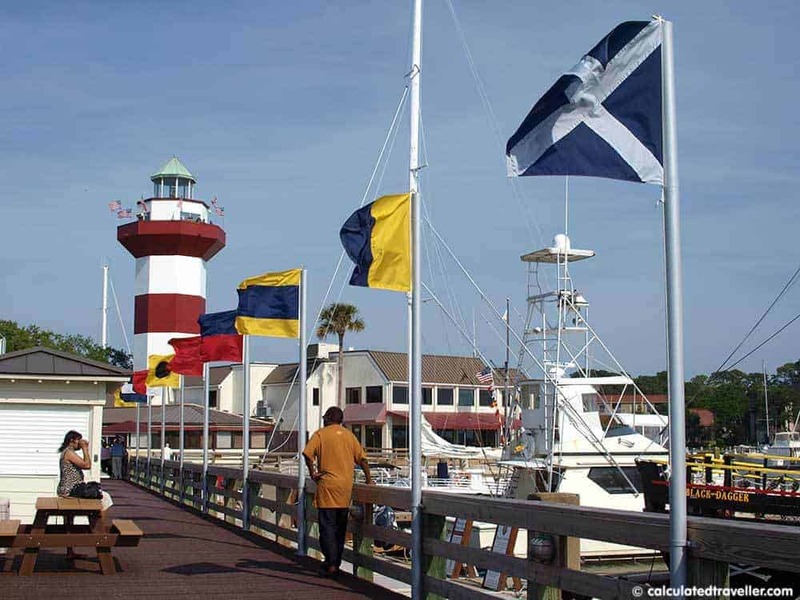 No trip through the Sea Pines area of Hilton Head Island is complete without a visit to the Harbour Town Lighthouse built in 1970 by Sea Pines Resort Founder, Charles Fraser himself. 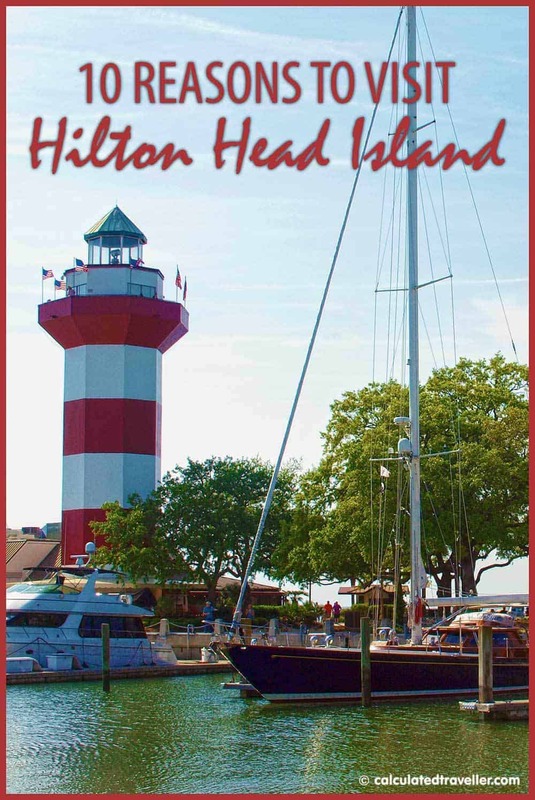 It isn’t, nor was it ever an operational lighthouse due to its geographic location and was met with much scepticism by the community when it was being built, but today it is known as the symbol of Hilton Head Island. 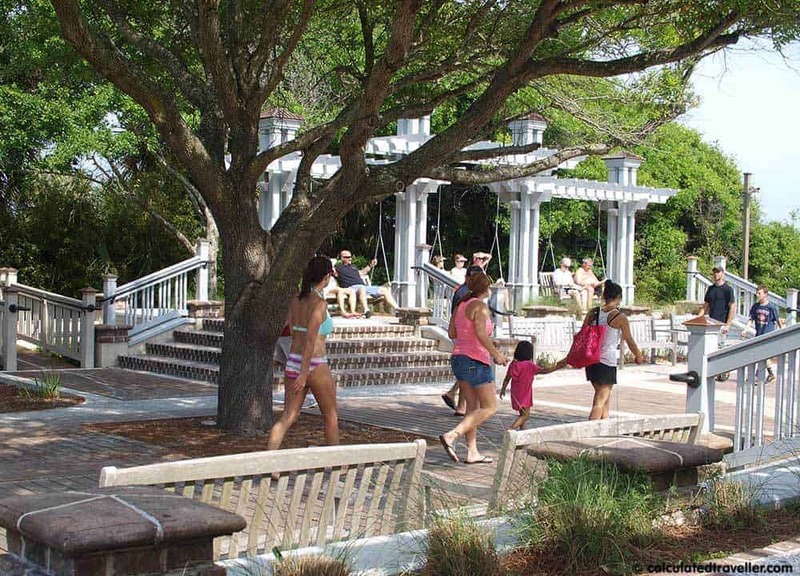 Visitors can climb the 114 steps to the top for a great view of Harbour Town and Calibogue Sound. There is also a shop and a museum, or you can simply sit in one of the many rocking chairs or benches and enjoy the breeze (photo at the top of the article). Open 7 days a week from 10 am to sundown (fee). With 22 public golf courses and water all around there is ample opportunity to be active! There are also dolphin and nature cruises throughout the island if you want to see some nature but don’t want to break a sweat. There is something to be said about the charm of the people in South Carolina. Everyone we met was friendly, warm and welcoming which made for a very relaxing atmosphere and visit. 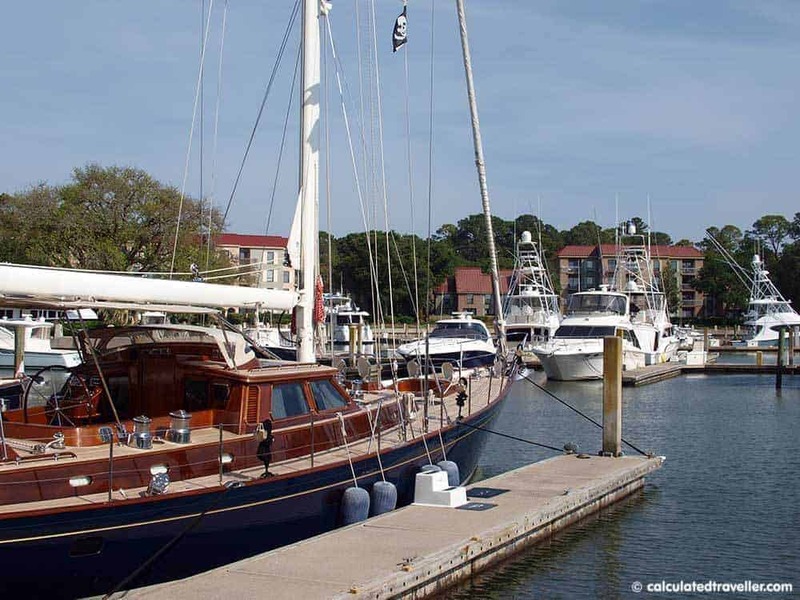 If you are looking for a change of pace and want to try a new adventure, visit Hilton Head Island, South Carolina pre/post cruise – you won’t be sorry. Certainly looks a wonderful spot, so much diversity in the area. 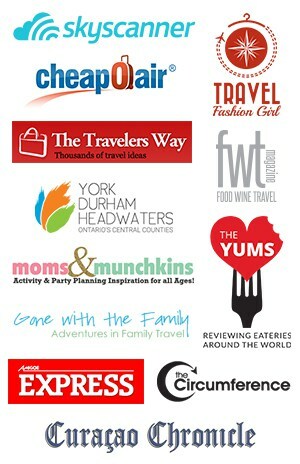 I would be off to Heyward House and the Coastal Discovery Museum. Nice to have one’s feet back on land. Great photo’s! I am adding this onto my places to visit. It looks beautiful!